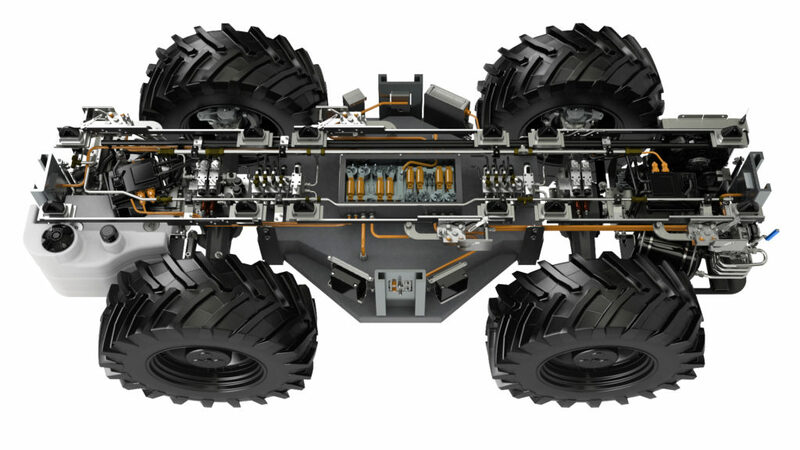 AVL has developed a flexible, cost-efficient, and high-performing electric tractor chassis. The prototype solution was revealed at VDI Land.Technik near Stuttgart, Germany, this month, and received excellent feedback from visitors. The new e-tractor has been designed to harness the potential of electric drives. The innovative power chassis maximizes operational time, while flexible vehicle use reduces system costs, and smart solutions optimize working processes. 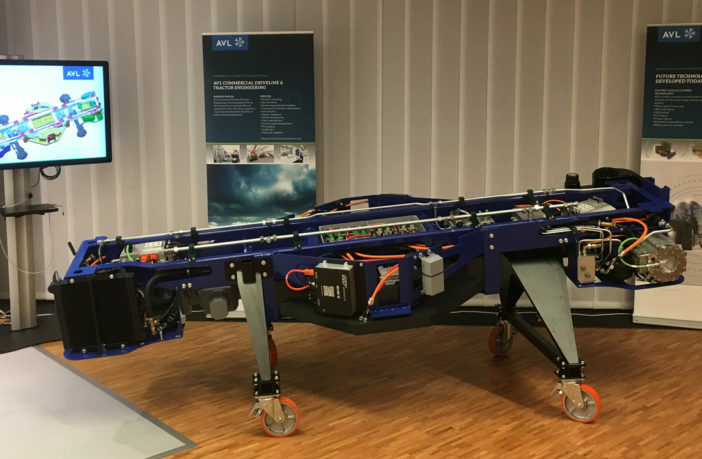 The vehicle is based on a new modular system: the power chassis provides up to 75kW and serves as a basis platform for modules such as implements, power packs and autonomous driving units. It combines the main cost-driving components, such as the electric drives, batteries and power electronics, in a base chassis, which can be used for a tractor, harvesting or maintenance machine on the same power level. Furthermore, the e-tractor will feature autonomous driving functionality and swarm technology. Core elements will become the key drivers for future applications. They include X-by-wire functionality (steer-by-wire, brake-by-wire); advanced driver assistance systems; swarm technology; smart power management; and a smart implement interface. By combining these elements in a new system architecture, the new e-tractor will consolidate AVL’s position as a technological driver. The presentation of the e-tractor demonstrator is currently planned at Agritechnica next year. Interested in hybrid & electric industrial vehicles? 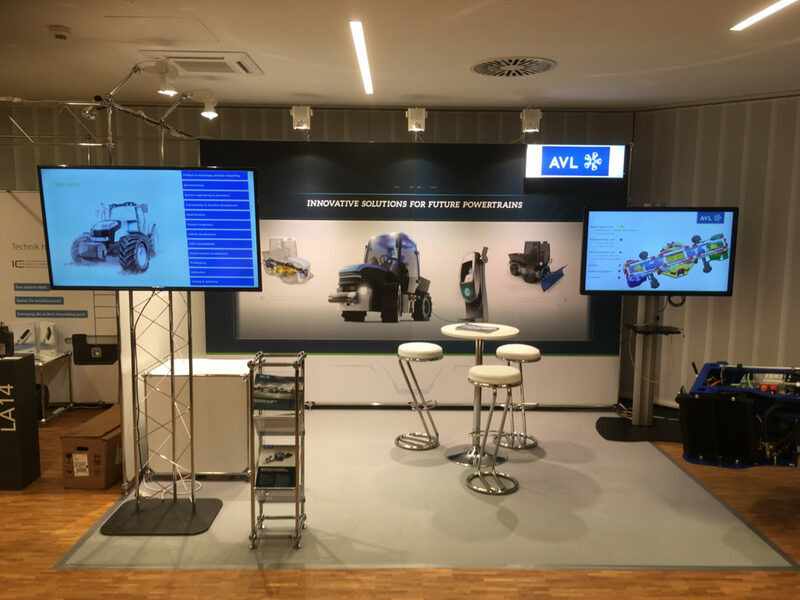 AVL, which is exhibiting at iVT Expo, 13-14 February, 2019, Cologne, Germany, will also present a paper as part of the Electric & Hybrid Industrial Vehicle Technology conference that takes place during iVT Expo. Sabine Pretsch, system engineer, AVL Commercial Driveline & Tractor Engineering GmbH will examine the latest battery charging challenges and solutions for construction equipment/agricultural machinery fleets.